1 cup extra all-purpose flour for dusting. 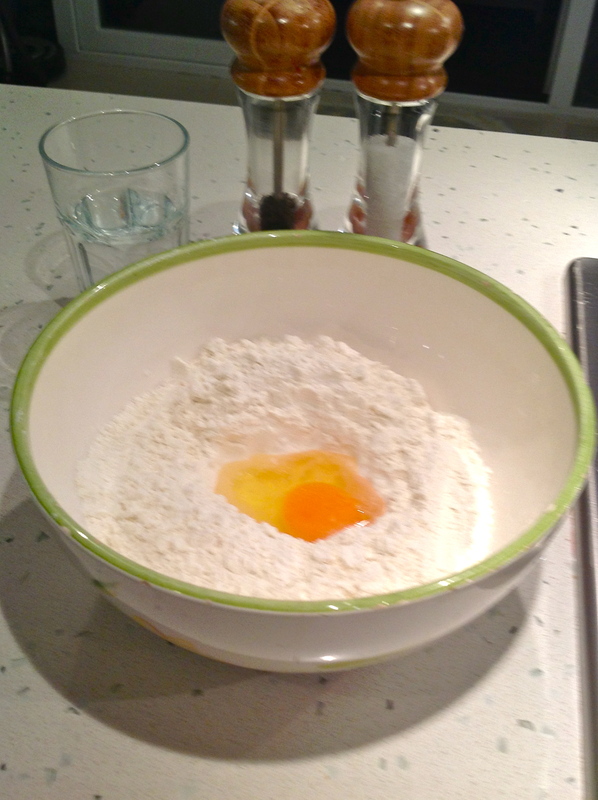 Put the egg in the flour of the centre in a bowl ,add water ,salt. 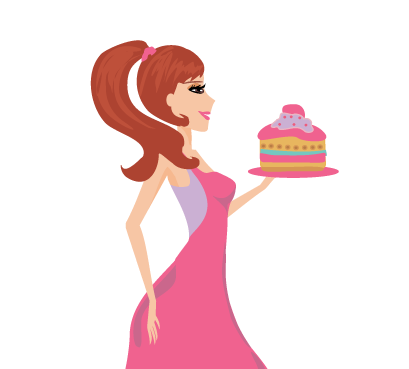 Knead it until a stiff dough about 6-8 minutes .Cover a tea towel or plastic wrap ,let the dough to rest for 10 minutes. Add the ground meat ,the chopped onion ,salt ,pepper ,mint in a bowl and mix all of them , set aside it . Melt the butter in a little saucepan over the medium heat , add onion and fry the chopped onion until golden yellow then add the tomato paste, the red pepper paste ,the water and then cook for 1-2 minutes.Set aside. In a separate bowl , combine the yogurt , garlic , and salt to taste . Set aside it . 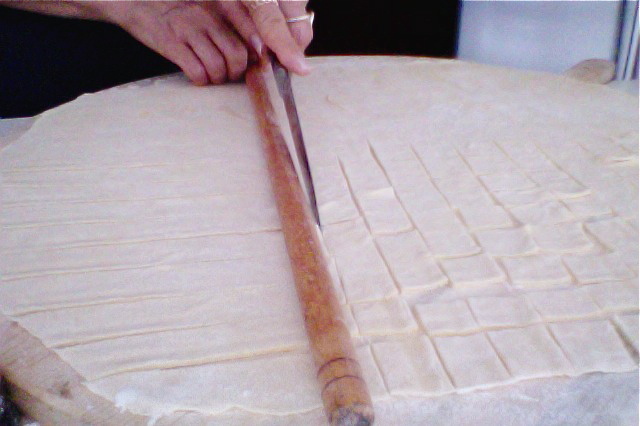 1- On a floured board or surface ,roll out the dough to 3 mm in thickness with a rolling pin and make a sheet .Cut the sheet a long strips 2 cm wide and then cut into squares .Place a tiny size of the meat filling in the centre of each square . 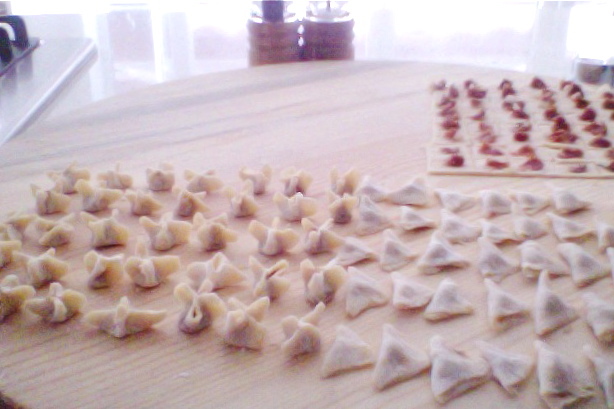 2- For Make to Fold the Dumplings : Fold diagonally to form a triangle shape or star shape. Press edges firmly together to seal the dumplings . 3- When all of the dough has been filled , sprinkle more flour over the dumplings and boil the water a large, deep saucepan over a high heat and add 1 tbsp sea salt. 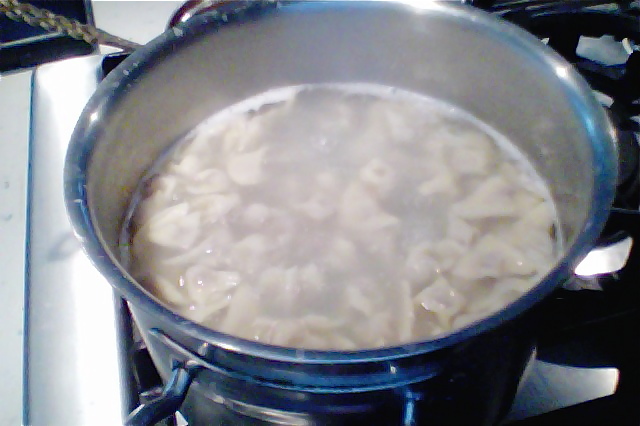 4- Add the dumplings in the boiled water cook until the dumplings rise to the surface about for 10 -15 minutes. Remove from the heat .Strain the manti with a strainer and transfer to a serving plate. 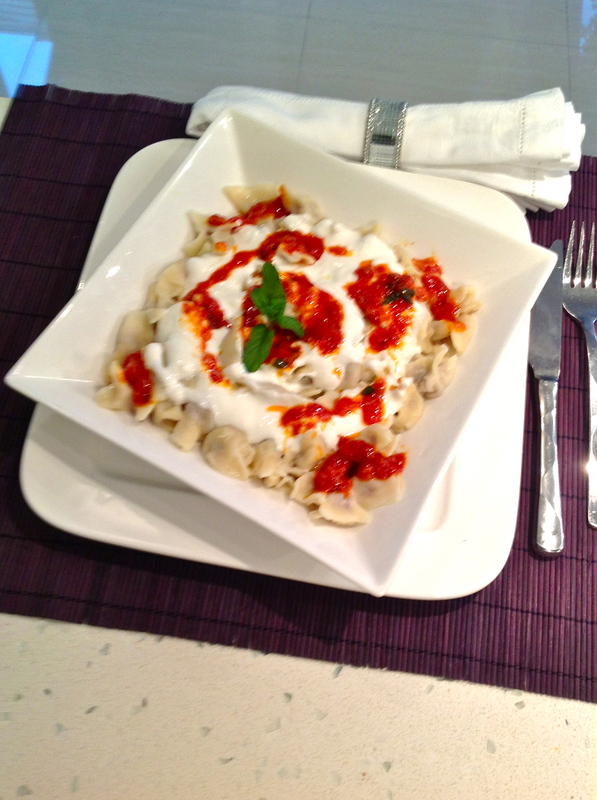 5- Serve the manti with the tomato paste sauce and yogurt sauce . Place the all-purpose flour ,egg , water, sea salt in a large bowl and knead . Roll out the dough and cut the sheet into squares. Put a tiny size of the meat filling in the centre of each squares and fold diagonally to form a triangle shape or star shape. Place the stuffed dumplings into the boiled, salted water.Cook until the dumplings rise the water surface and then transfer into a serve plate. 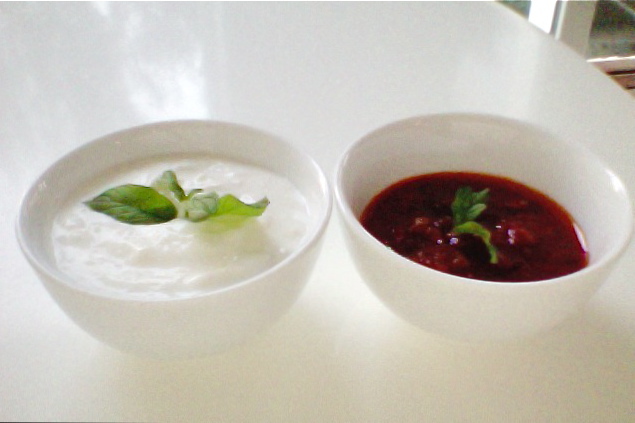 Prepared yogurt sauce and tomato paste sauce. 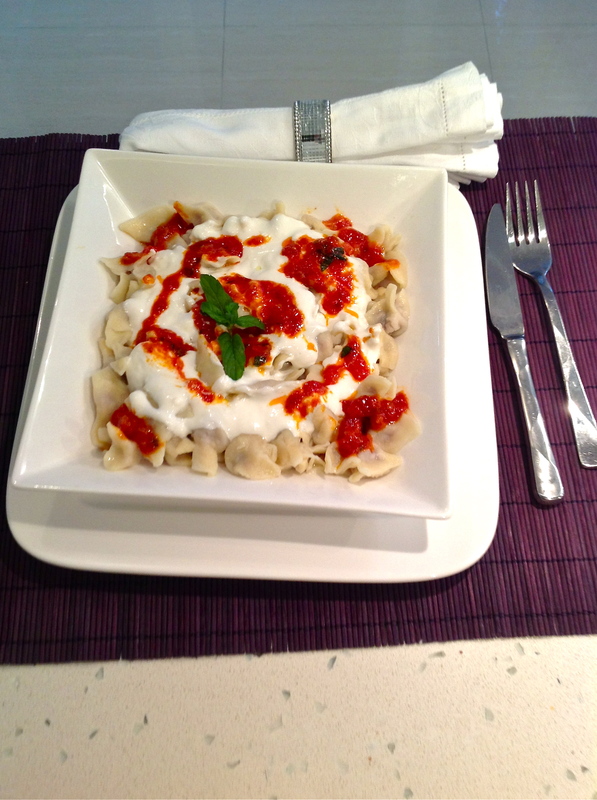 Serve The Manti with sauce. Thank you so much Carolina for very nice comment!